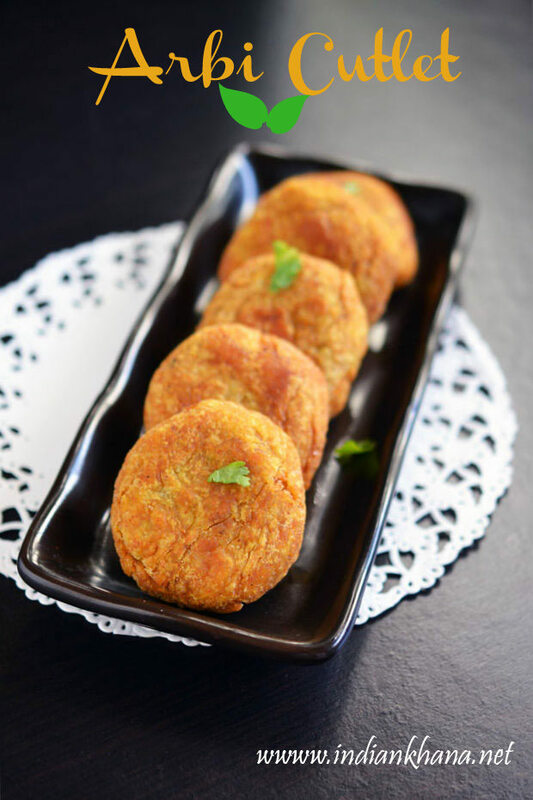 Arbi Cutlet or Colocassia (Seppankizhangu) Cutlets/tikki/patties whatever we like to call it is easy, delicious and different cutlet recipe made with minimal ingredients and simple spices. 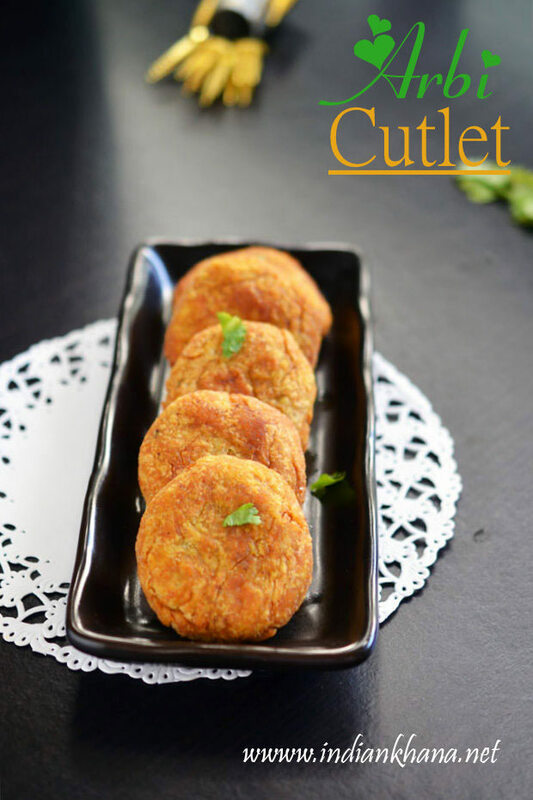 If you want to cook arbi or taro in different way then this cutlets are for you, I normally make pumpkin taro curry, or dahi wale arbi and the cutlets are mostly reserved for navratri fasting period but this time I made these cutlet in little different way. 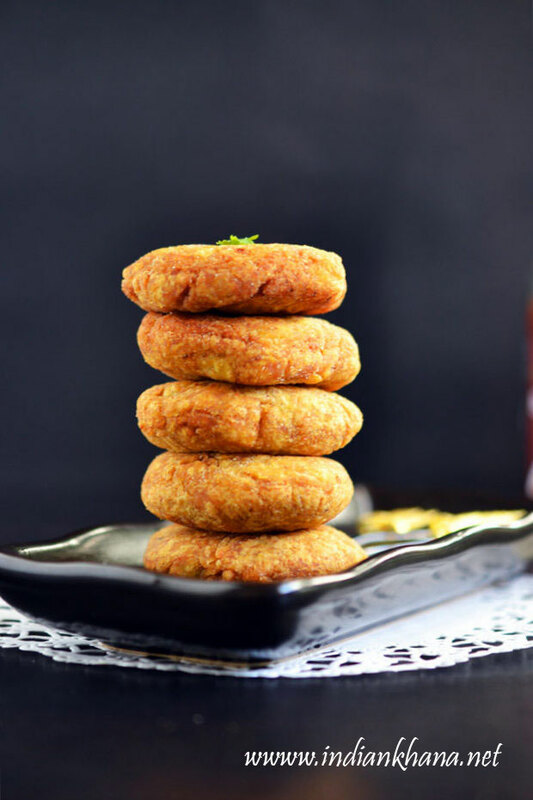 These arbi cutlets are really simple and super delicious what more we need right? For a change I deep fried it normally I always pan-fry cutlets and these ones didn't even observe too much oil which was wonderful of course. 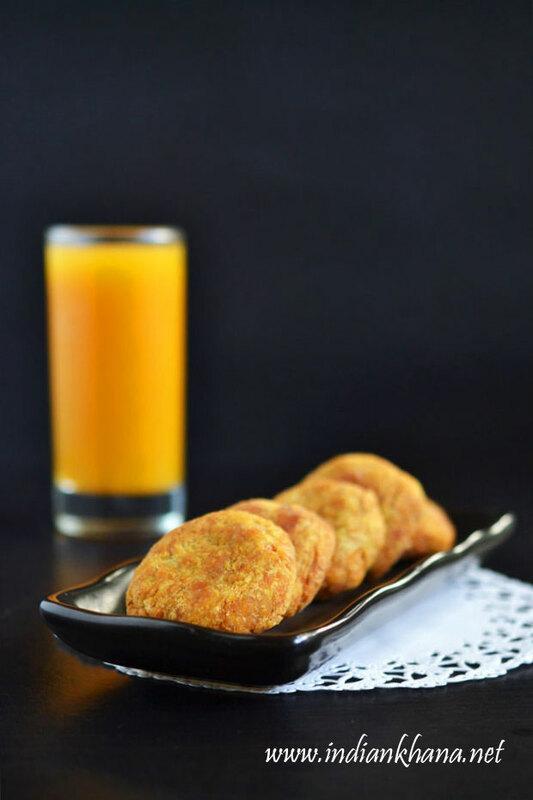 But you can shallow fry or pan fry this cutlets too as per your wish. And if making arbi cutlets for vrat or fasting then we need to replace flour, salt and spices with the ingredients suited for fasting. Other arbi/seppankizhangu recipes you can check Arbi Kumdra Sabzi, Arbi Patta Pakoda, Phalahari Arbi Sabzi. And the drink you see in the background is Mango Iced Tea. You can also check other snacks or starter recipes. 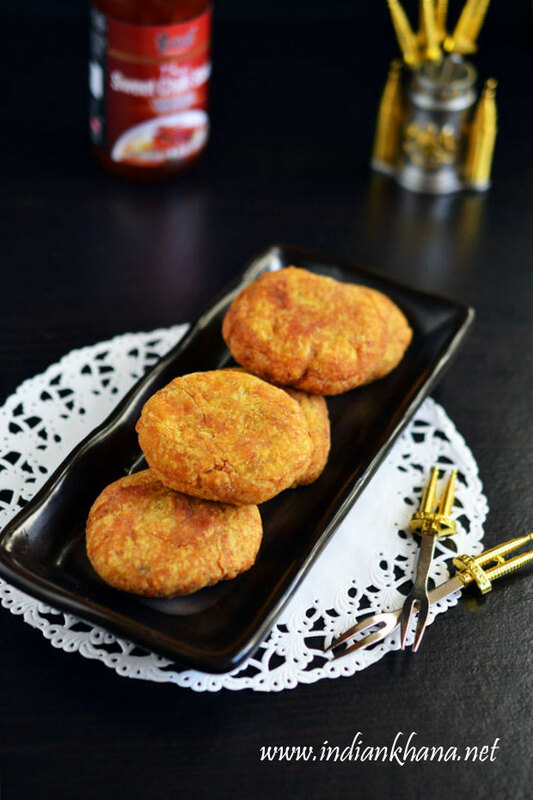 Arbi or colocassia cutlet is easy, delicious spiced up cutlets. Wash arbi well and pressure cook for 3 whistles, once pressure released peel arbi and cut into pieces. 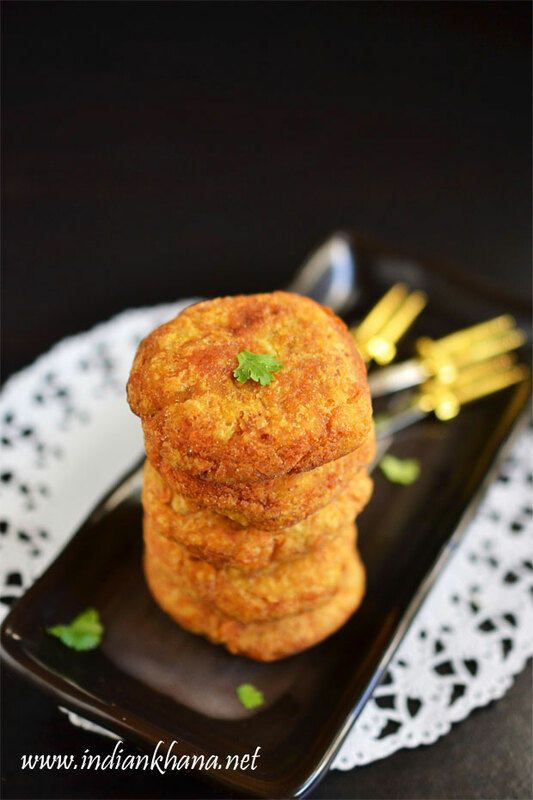 In a plate or bowl take arbi, red chili powder, turmeric powder, coriander powder, cumin powder, kitchen king or garam masala, amchur powder, salt, 1 tsp oil, 2 tbsp rice flour and mix everything well mashing arbi pieces. Serve hot or warm with any chutney or sauce or serve with any variety rice. You can add finely chopped onion, green chilies. If making this during vrat/fasting then replace rice flour with singara or rajgira atta and remove other ingredients not permitted. You can also shallow fry or pan fry these cutlets.